HAMBURG, Germany — "Steinberg Media Technologies GmbH today announced the immediate availability of Cubase Pro 8 and Cubase Artist 8. "For the past quarter of a century, Cubase has been the go-to DAW for many professionals around the world. 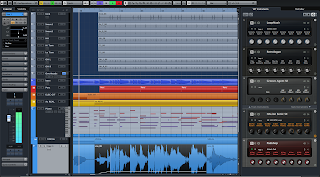 Today, Cubase delivers a considerably higher performance, puts users more firmly in control, and incorporates more serious tools and innovative technologies than ever before. Adding “Pro” to the biggest version of the latest range represents the evolution of Steinberg’s award-winning music production system. 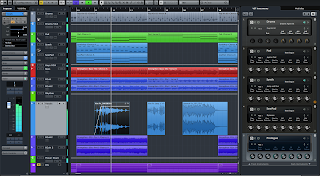 "The new line-up of Cubase witnesses a performance boost owing to its entire audio engine rebuild, extending the buffering ASIO-Guard to improve the audio processing performance for multi-timbral and disk-streaming featured instrument tracks. 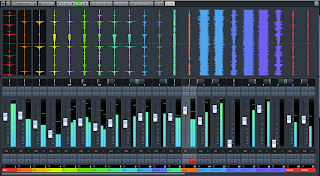 "Exclusive features of Cubase Pro 8 are VCA faders and virgin territories. The all-new VCA faders emulate the control of channel gain with DC voltage, moving an entire fader group through a single master fader. Taking it a step further is the Combine VCA fader automation feature, which combines the VCA fader automation curve with that of a controlled fader or fader groups. Another addition to automation tools is virgin territories, omitting redundant automation data between automated events. "Both Pro and Artist versions now offer render in-place capability, allowing users to bounce MIDI and audio parts for a more flexible and efficient workflow, offering a wide range of bounce settings. "Chord pads, Chord Assistant modes and MIDI tempo detection are introduced to the creative feature set in Cubase Pro 8 and Cubase Artist 8. Chord pads are an extension of the chord track first introduced in Cubase 7, allowing users to trigger chords and change voicing and tension through MIDI parameters on any record-enabled MIDI or instrument track. "New Chord Assistant modes provide chord suggestions related to a specified reference chord by taking harmonic rules into account. The circle of fifths helps understand the theory behind these rules. The new MIDI tempo detection identifies recordings on MIDI tracks that are out of sync and aligns these with grid and tempo track. "UI enhancements in both new Cubase versions include window docking for the VST Instrument Rack and MediaBay, a redesigned Track List and Inspector for improved readability, a new plug-in manager for easy customization, global workspaces and a flexible window layout for PC versions. "New effects and instruments are covered by the VST Bass Amp with a collection of great-sounding amplifiers, cabinets and effects pedals, the Quadrafuzz v2 distortion processor, Multiband Expander, Multiband Envelope Shaper as well as an improved DeEsser, Multiband Compressor and Tuner. Newly introduced to the Groove Agent SE 4 drum instrument featured in Cubase Pro 8 and Cubase Artist 8 is the acoustic drum kit, Acoustic Agent, with 20 drum style patterns. 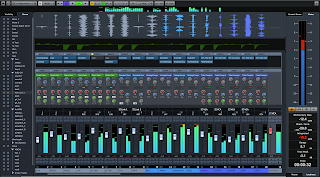 "Further advancements around Cubase’s mixing capabilities include an enhanced EQ module on each channel strip, displaying values for gain, frequency and note pitch as well as offering the option to enter pitch notes and cent values in lieu of frequencies. The Pre section now offers selectable slopes for high-cut and low-cut filtering. Available in Cubase Pro 8, MixConsole’s new direct routing section facilitates group routing for multiple channels, buses and stems. 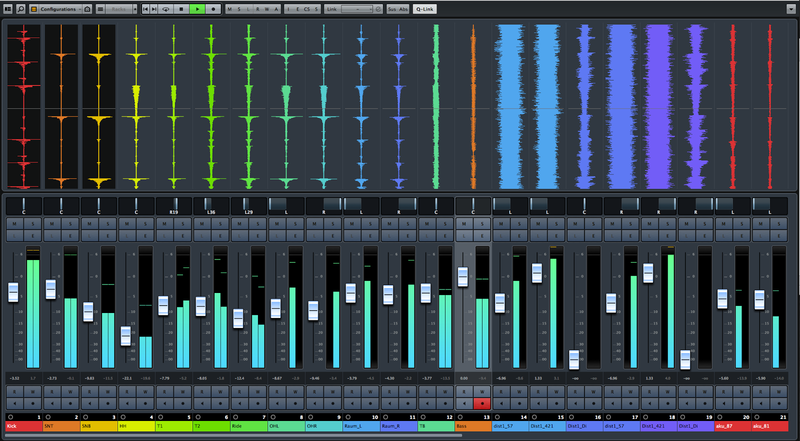 Another Cubase Pro 8 exclusive: the Wave Meters feature displays audio events as waveforms within the MixConsole, providing additional visual feedback to the user without viewing the Project window. "Next to the new Groove Agent SE 4 content comes the Allen Morgan Pop-Rock Toolbox with 30 construction kits, each with 25 to 30 audio and MIDI loops routed to predefined instruments, including channel strip and mixer settings. 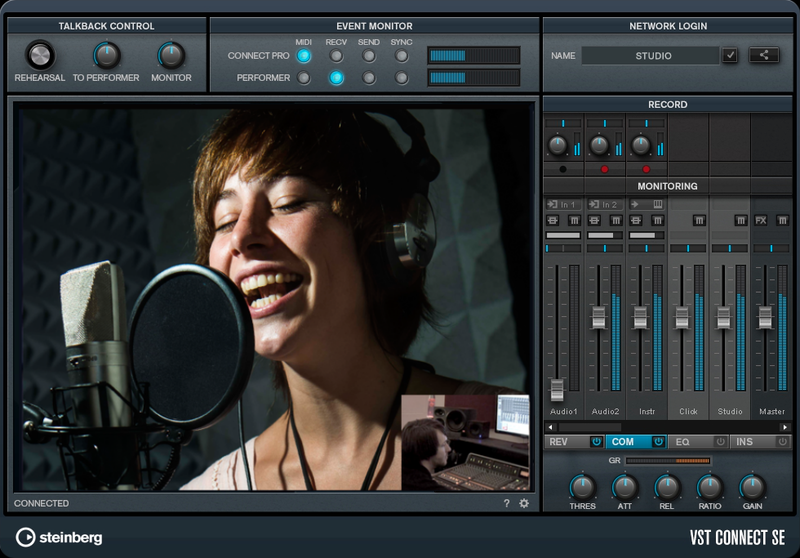 "VST Connect SE 3 is a Cubase Pro 8 only feature, providing remote recording capability of audio and MIDI data over the Internet. 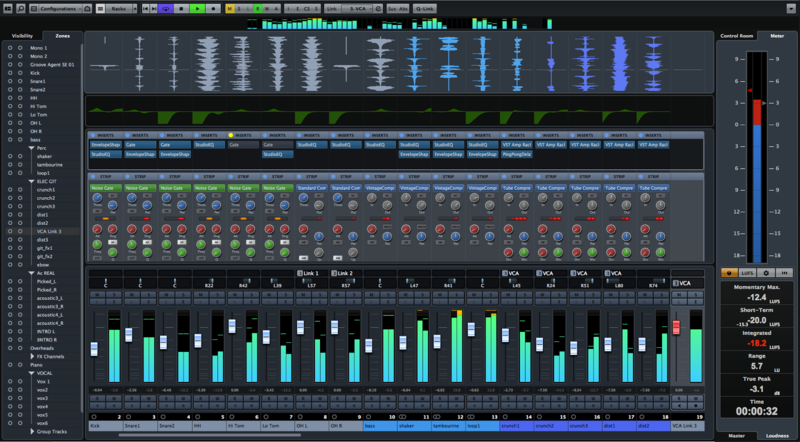 Version 3 has been redesigned and is fully integrated into Cubase. "Steinberg’s director of marketing, Frank Simmerlein, commented: “Releasing Cubase Pro 8 and Cubase Artist 8 rounds off a very successful year in the long history of our company. Not only can we proudly look back on 25 years of Cubase, we have also been celebrating Steinberg’s 30th birthday. Both our long-term experience and expertise are now condensed into Cubase Pro 8, the most cutting-edge digital audio workstation today.”"
The Cubase Pro 8 and Cubase Artist 8 full retail versions are available for pre-order from resellers and through the Steinberg Online Shop from December 3, 2014. Shipping begins on December 8, 2014. 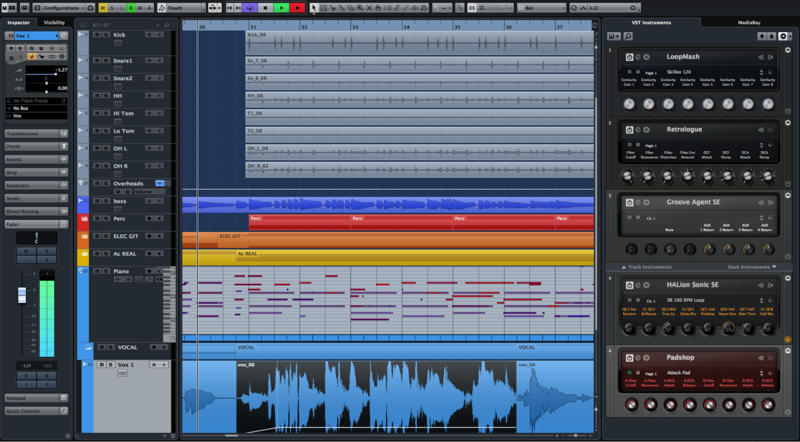 The suggested retail price for Cubase Pro 8 is £448/€549 including German VAT. The suggested retail price for Cubase Artist 8 is £244/€299 including German VAT. Various downloadable updates and upgrades are exclusively available through the Steinberg Online Shop from 3 December 2014. Customers who have activated Cubase 7.5 and Cubase Artist 7.5 since October 15, 2014, are eligible for a free, downloadable Grace Period update to the latest version. • Includes a suite of 53 audio and 18 MIDI VST effect processors, including Pitch Correct for vocal intonation correction and VST Amp Rack and VST Bass Amp guitar and bass tone suites, Quadrafuzz v2 and more!